I’m always looking for something I can easily pop in my mouth to eat. This is especially true around the holidays when my “food-grazing” is in full effect. 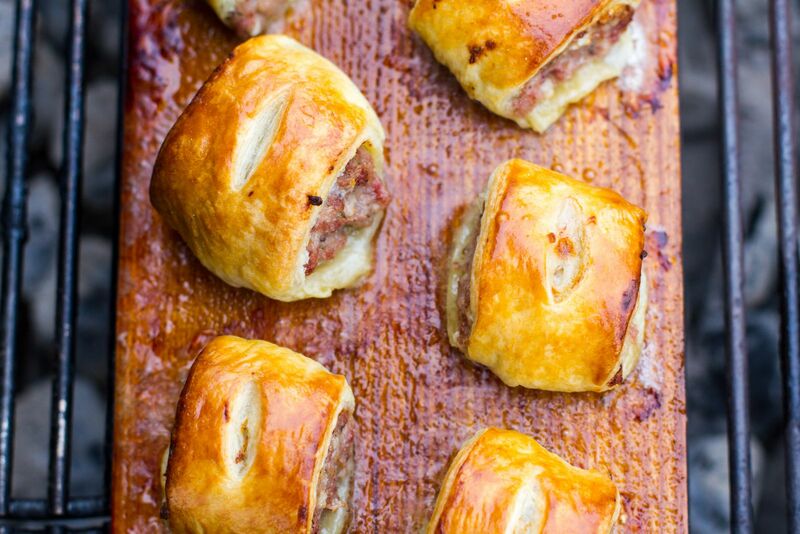 One of my favorite holiday “one bite” treats are sausage rolls. 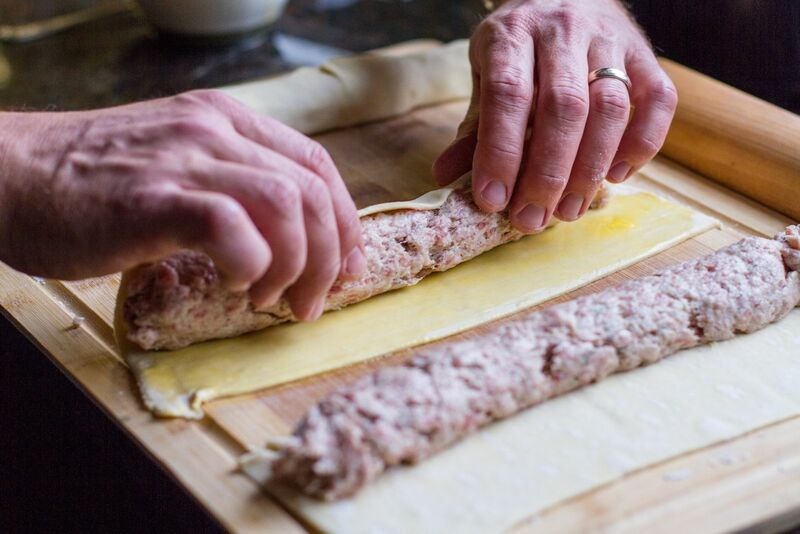 Typically baked in the oven, this sausage roll recipe is easily adaptable to the outdoors. All you need is your grill, a plank, and your appetite. 1. Prepare the grill for a two-zone fire with indirect medium heat (350 F). 2. 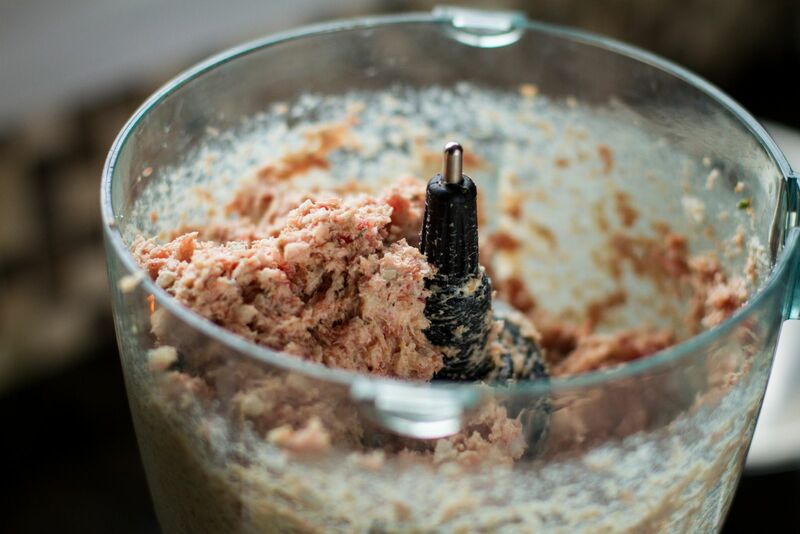 Combine the sausage, onion, thyme, goat cheese, breadcrumbs, and salt in a food processor. Pulse approximately 8-10 times, or until well blended. 3. 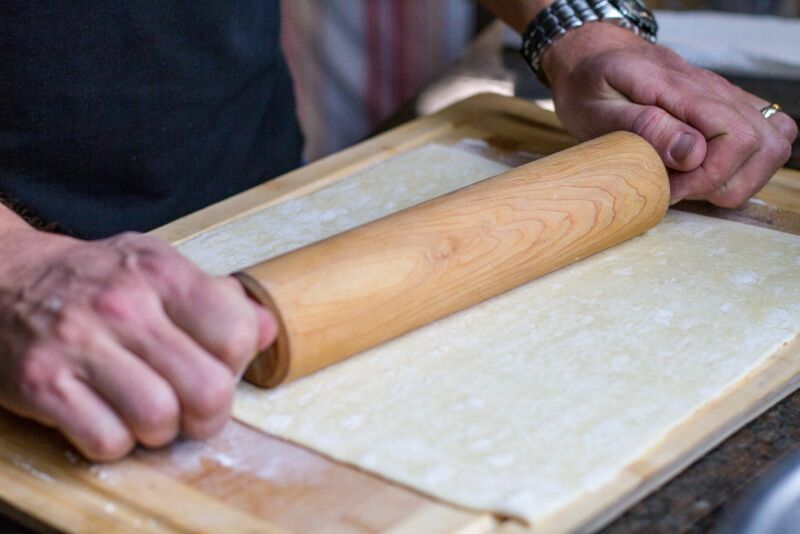 Place the sheet of puff pastry on a lightly floured surface. 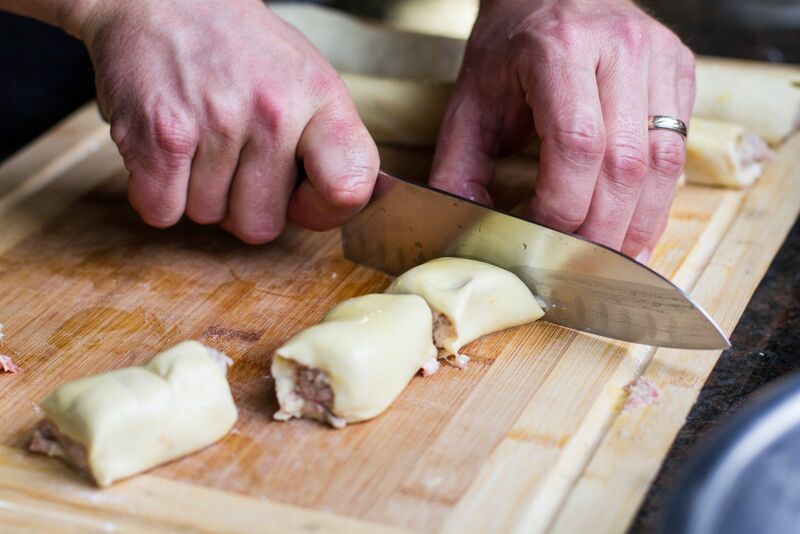 Roll out the pastry to increase its surface area. 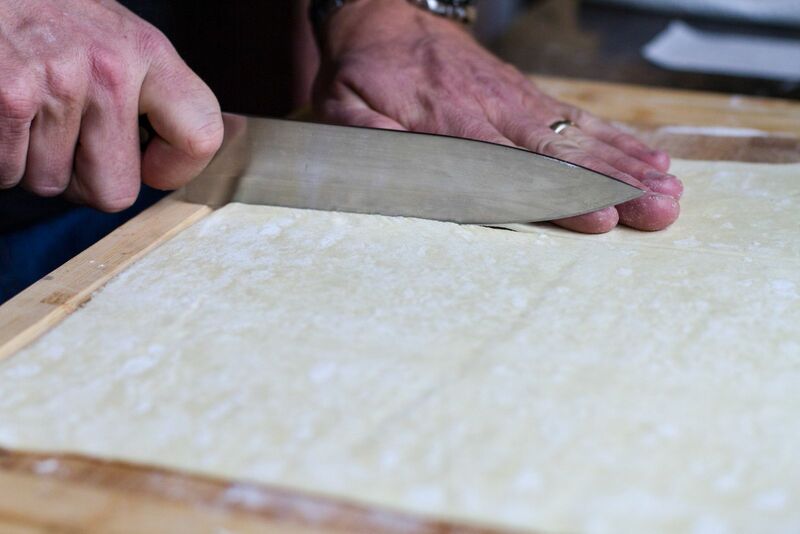 Then with a sharp knife, slice the puff pastry sheet into 3 equal pieces. 4. With a pair of scissors, trim a one-inch sized hole in a bottom corner of a gallon-sized plastic bag. 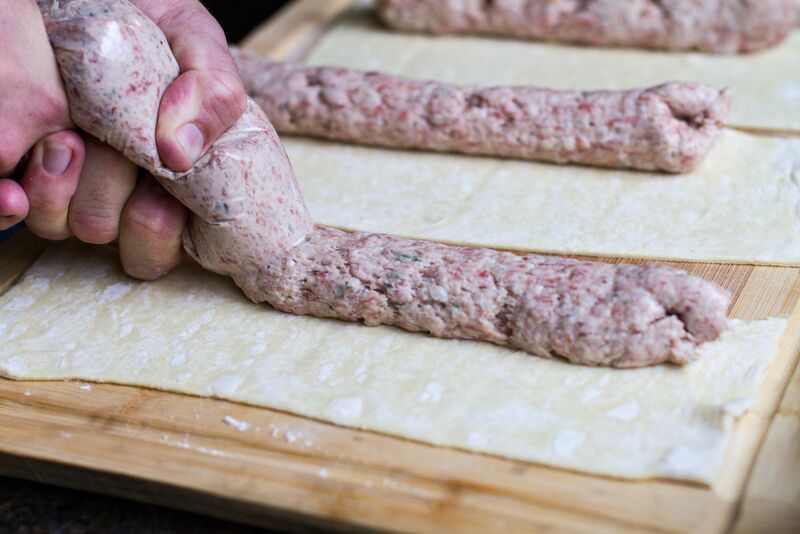 Place the sausage mixture in the bag. 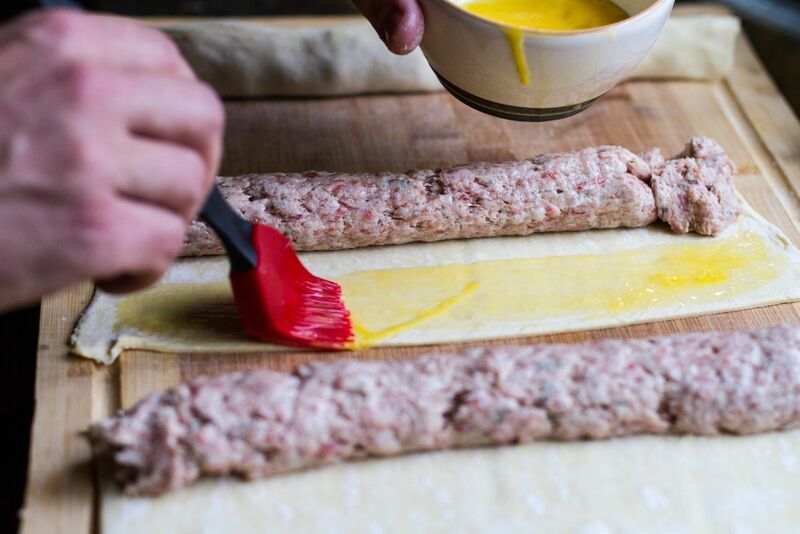 Squeeze the sausage out of the bag and through the hole onto the far left side of each of the three pieces of puff pastry. 5. Brush the beaten egg onto the right side of each piece of puff pastry. 6. Roll the pastry and seal on the egg wash side. Place the rolls seam side down. 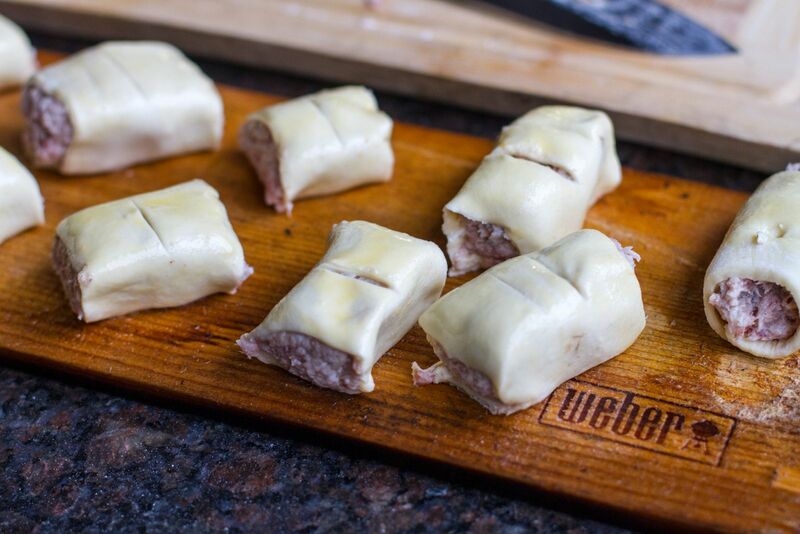 Brush each roll with the egg wash. Slice each roll into roughly equal pieces, approximately 1 ½ in length. 7. Pre-heat an empty plank on the grill over indirect medium heat for 20 minutes. 8. Fill a plank with rolls, being careful not to crowd them. Grill over indirect medium heat for approximately 20 minutes, or until the internal temperature of the pork reads 160 F with an instant read thermometer.